An experienced triathlete who has turned his hand to coaching, lots of experience coaching novices and intermediate athletes. I have been competing in triathlons for over 10 years and have been coaching at clubs for the last six years. 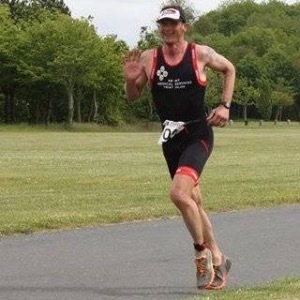 I am the head coach for the Army Medical Services Triathlon Club, an assistant coach with the Army Triathlon Association and have previously coached at Farnham Triathlon Club. It's the coaching that counts not what an athlete has achieved when you are searching for a coach. I have spent many hours coaching pool/track side, in open water, or out on the bike. I have coached athletes online for three years, assisting many novices to reach a competative standard. I am now working with performance athletes to take to challenging in Age Groups and beyond. British Army Female Sprint Champion, runner up in British Forces Standards 2018. British Army Cycling Female Team Member. British Duthlon Age Group Athlete, European Duathlon Championships 2018. Success. Coach Rob Mathews has been notified of your message.